DO: Use a little, not a lot. First things first, how much product should you use? Something many of us overestimate, we would recommend using sparingly - a little goes a long way! Dispense one pump into your palm, rub together in your hands and distribute evenly throughout your hair. If your hair is longer or thicker, use more! Our serums contain film-forming silicones to seal in moisture and hydrate dry hair, making your locks glossy, soft and manageable. Think of the silicones as a raincoat over the outer layer of your hair, helping to prevent your locks from getting frizzy. We know how to get the best from our products, so with our Extra Strength and Original Serums, we advise applying to soaking wet hair whilst our Perfect Finish Serum is best used when your hair is dry. DON’T: Apply to directly to your roots. Serums work to protect and prevent frizz to the strands of your hair - they’re simply not needed on the roots. DO: Use as part of a regime after washing and conditioning. If you’re forever fighting frizz, start your hair care regime with our Frizz Ease Shampoos and Conditioners for a frizz-free, smooth style. DON’T: Worry about finding extra heat protection. 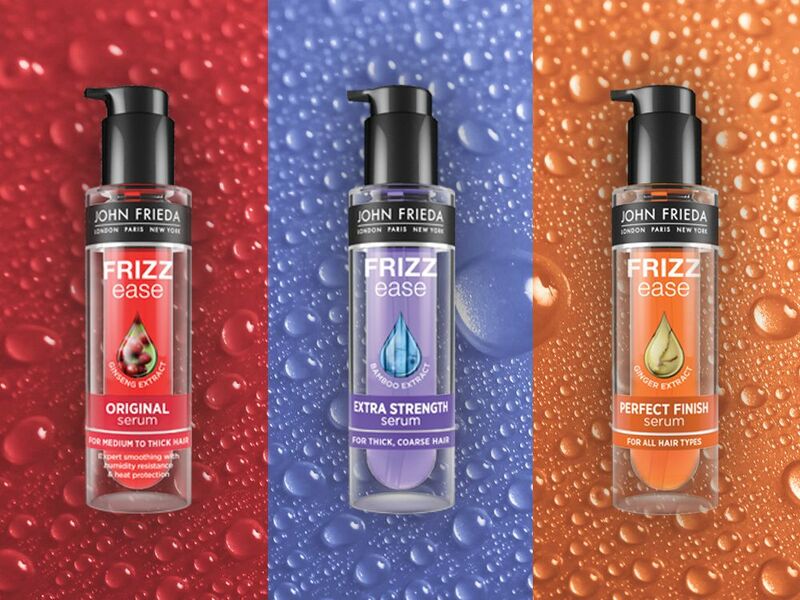 Our Frizz Ease Serums provide heat protection, so no need for additional product! DO: Find the best hair serum for your hair type. If your hair is very thick and coarse, try our Extra Strength, medium to thick hair - Original is best for you and if you’re more concerned with perfecting your style, use our Perfect Finish Serum. DON’T: Apply to unclean hair. Our serums work to prevent the onset of frizz, so if your hair has already succumbed to a few flyaways, our serums won’t work as well as they can. The benefits of using a serum can be truly transformative to your hair, that’s why it’s so important to maximize its benefits! Discover your ultimate frizz-fighter and shop our serums here.